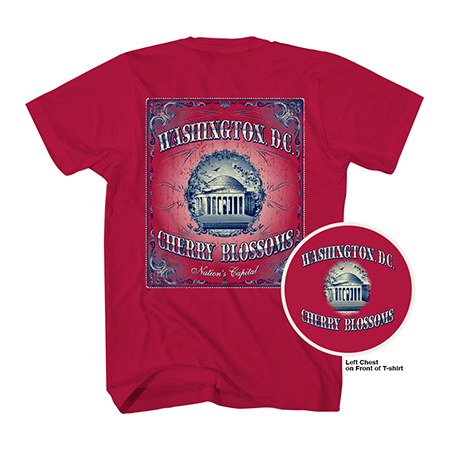 This official National Cherry Blossom Festival unisex cotton Tee Shirt features the Thomas Jefferson Memorial surrounded by filigree branches and Yoshino flowers. On the top of the shirt it states: WASHINGTON D.C. Below the Memorial are the words: CHERRY BLOSSOMS. On the bottom are the words: NATIONS CAPITAL.